On Thursday, September 6, 2018, a 6.7 magnitude earthquake struck the Japanese island of Hokkaido. There have been 16 confirmed deaths in the aftermath, as well as additional 26 people currently missing. The earthquake triggered landslides and caused massive power outages. Around half of Hokkaido’s 5.3 million residents are still without power. In addition, water, telephone, and transport are still waiting to be restored throughout large areas of the island. 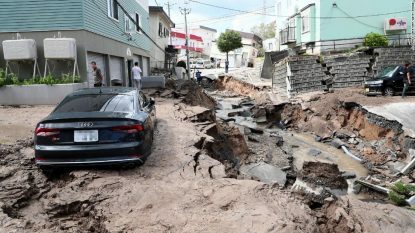 There has been no confirmed damage to any Nazarene churches in the area, although it has been confirmed that the home and church of Dr. Shuji Furukawa, District Superintendent of the Japan district, was not affected by the earthquake. Dr. Furukawa requested prayer for those who are grieving their loved ones, as well as for the recovery process and restoration of services.